Dynaudio Sub250 Compact review | What Hi-Fi? 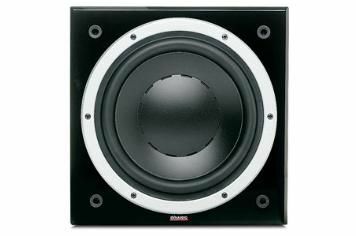 If you can't have a large bass bin clogging up your front room, on paper the pint-sized Sub250 Compact looks a decent bet. And, if you fancied having a couple dotted around your system, you can also daisy-chain them using the relevant input and output on the rear panel. This Dynaudio is one of the most agile, punchy and speedy subs around. It stops and starts with excellent precision and is really tuneful when it comes to listening to any track that requires a decent bass kick. Watch an action movie and the leading edges of explosions are clearly defined and uncoloured and the subwoofer performs well at high volume levels too. But, for all the precision and detail, the Sub250 Compact sounds lightweight against certain rivals– low frequencies don't go to any great depths. We'd be able to show some leniency if it wasn't so expensive. Not only does the general look and feel not match the price tag, but the likes of Acoustic Energy's Neo V2 give you all the good stuff and greater weight for a lot less cash.